When there is just to much excitement going on in your life, put this calamity calmer spell to work. We use natural elements to collect and expel heavy and negative energy from your home or any space you need chilled out STAT. Pick up the ingredients for this spell at your local metaphysical store that sells Coventry Products. The rest of the ingredients come from your home or in your garden. Follow the instructions as closely as you can then then enjoy a peaceful space. It’s perfectly ok to make changes to this spell. 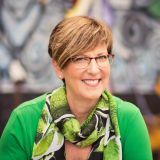 Once you put this spell into motion, it’s your spell and you can tweak it here and there as long as you understand why you are making the changes. Great way to increase your understanding of magic and spell work. Anoint the candle with the calming oil, light it and place it in a candle holder in the center of your home or the area that is in turmoil. Place 9 drops of the calming oil in the bowl of water and walk the bowl through each room while visualizing the stress and turmoil being attracted into the water. Walk the bowl of water outside and dump it in the street. Use the evergreen bought to sweep out the energy in the entire building. Sweep toward the windows or exterior doors, visualizing that you are collecting and sweeping the energy out of the door and down the street. When you are done, take the bough outside, off your property. Break it in half and toss into the street. Walk the candle into each room, filling it with calm balance. Set the candle to burn in the center of your home. Neve leave a burning candle unattended. Do you like the spell you read here? Don’t forget to sign up for our newsletter here, for more Coventry magic delivered right to your inbox. 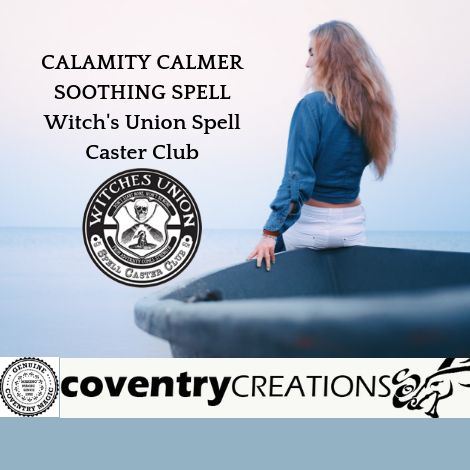 Visit our website to browse our Coventry products and more, Make sure to check out our Witches Union products. This line celebrates the powerful witch in you with patches, mugs, matches and more (as we create them). We have a Witch's Union, Spell Casters Club Facebook group. Ask to join! We’d love to see how you create a positively magical life.